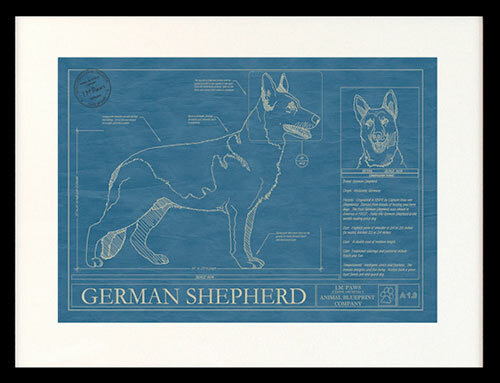 Animal Blueprint Company is the purveyor of stylized dog, cat, horse, and animal portraits created in the image of a 1950’s blueprint complete with schematics and design notes calling out the special features of each breed. 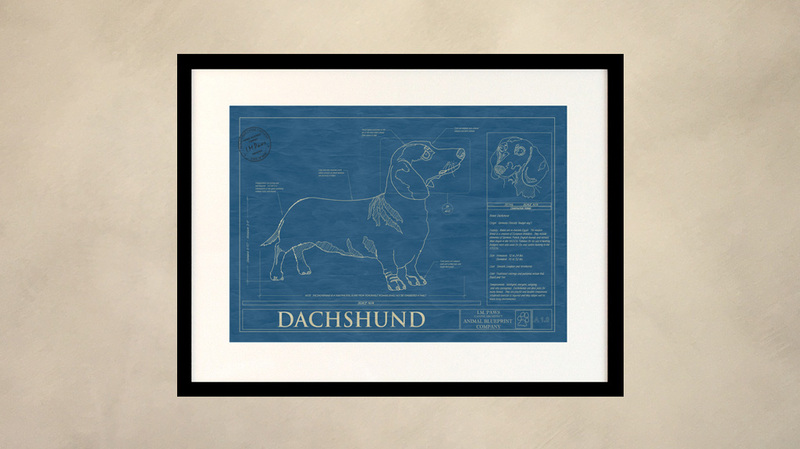 Featuring a distressed finish to give them the look and feel of working blueprints used by architects, engineers and construction supervisors in the mid-20th century, the classic renderings are perfect for dog lovers or those who want to combine style, design and nostalgia in their homes. 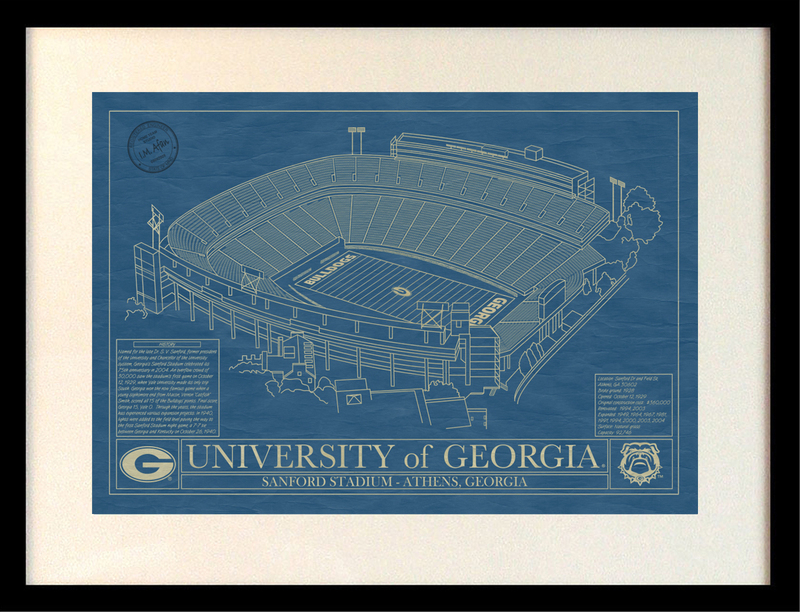 A great stand-alone piece of art or as a collection, Animal Blueprints start at $110 with a variety of framing and matting options available. The art prints also make an excellent gift for any dog or animal lover. 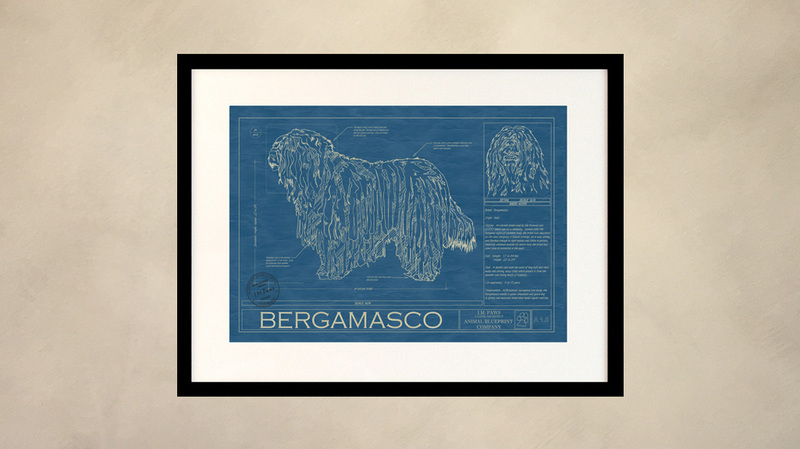 Custom orders for specific breeds or individual pets are also available under “Request a Breed.” Inspired by a passion for animals, art and architecture, Animal Blueprint Company, is the creation of artist and graphic designer, Robert Redding. 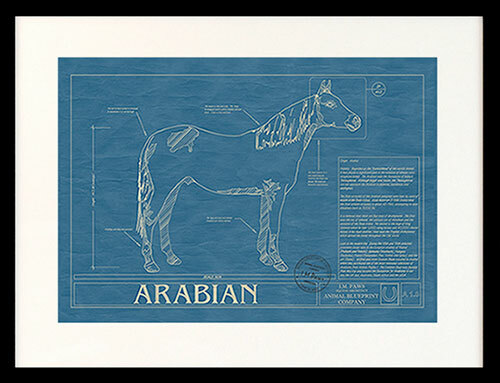 Animal Blueprint Company prints are made in the USA and feature the finest museum quality paper. 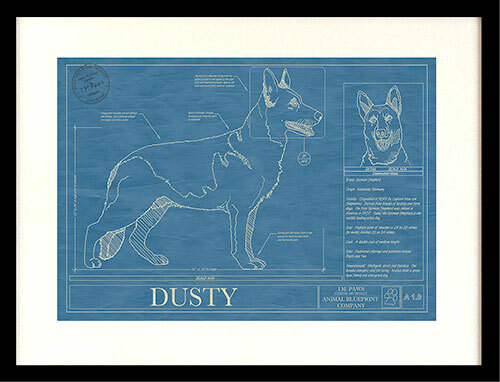 For those that want an extra bit of customization, we can now add the name of your favorite dog, cat, horse, or animal to your art print. 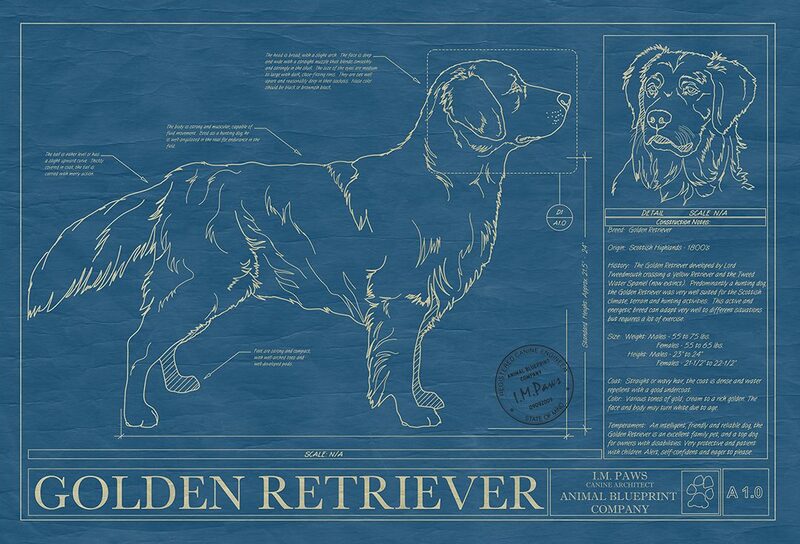 When ordering your blueprint, select the option on the any of the breed pages. 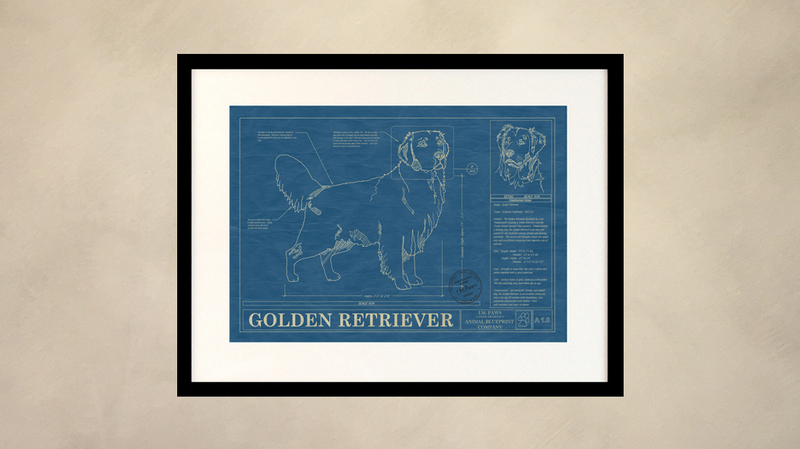 The Animal Blueprint Company’s unique framed wall art and prints of 100+ Dog Blueprints, Cat Blueprints and Horse Blueprints are created by a graphic designer who combined his passion for dogs, design and architecture. 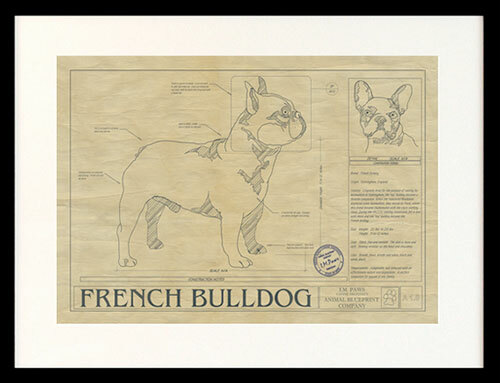 Each print is created in the original format of a 1950’s blueprint and features a particular breed drawn in detail along with factual information that makes that breed special. 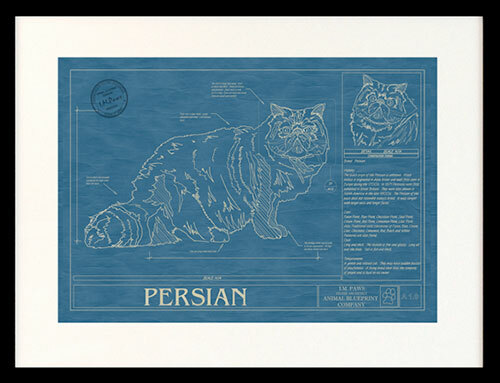 These unique animal blueprints are great wall art or the perfect gift for animal lovers and owners alike.